3 Bedroom Detached House For Sale in Stockport for Asking Price £330,000. 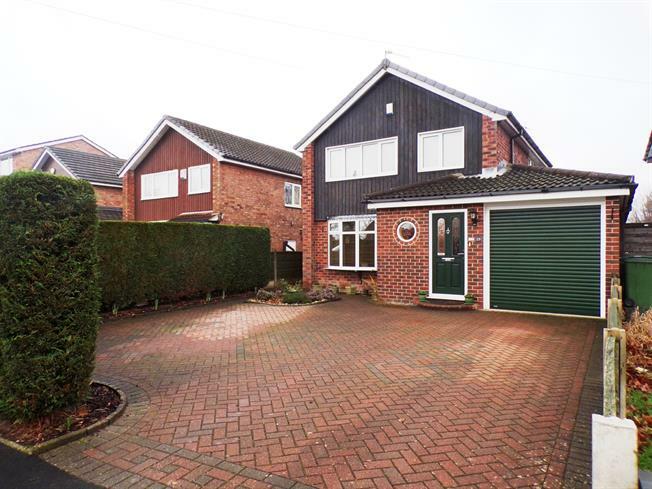 A stunning and spacious three double bedroom detached home. This extended home is in immaculate condition throughout and is a credit to the current house proud owner. The home has been extended to both the side and rear creating an open plan kitchen dining area plus spacious children's play room come study. The home benefits from having off road parking for four vehicles plus attached garage. This home is offers bright open and airy rooms and will appeal to someone wanting to upsize who wants excellent local schools on their doorstep. This home is within walking distance to Hazel Grove train station which provides direct links to Manchester city centre. Upstairs there are three double bedrooms separate w/c and bathroom. There is potential to make this already sizable property into a four or five bedroom home with en suite facilities planning permitted. A spacious three bedroom detached home in a prime location off road parking and excellent local schools.